I have really enjoyed this month’s Travel the World in Books (#TTWIB) challenge, organized by Aloi of Guiltless Reading, who invited us to read one book by a Nobel prize-winning author. Her announcement post for April’s combined challenge has the linkups of those who participated, along with numerous helpful links for learning more about the Nobel Prize in Literature and the diverse array of authors it has recognized. Becoming better acquainted with these authors–both those we have read already and those still awaiting our exploration–was the best part of the challenge for me, since I now have a better conception of how the prize has grown and changed over time, especially in its expansion beyond Europe to Asia, Africa, Latin America, and Australia. There are good books and there are great books and there may be a book that is something still more: it is the book of your life. For Leithauser this was it, and he goes on to explain why this book about a struggling Icelandic sheep farmer was so fascinating and touched him so profoundly. Bjartur of Summerhouses is a man who could probably have held his own with the protagonists of the legendary Icelandic sagas. He appears to be as mean and stubborn as Egill Skallagrímsson, the 10th-century poet and anti-hero of Egil’s Saga. Bjartur himself composes rhymes and fancies himself a bit of a latter-day bard. Above all, he is defiant. He verbally mocks and ignores the ancient custom of placing a stone on the hill known as Gunnucairn, or Gunnvor’s cairn, the burial mound of a murderous old woman who was executed long ago in the area. Feared down the centuries, Gunnvor’s curses have seemed to haunt one sheep holding in particular, familiarly called Winterhouses. But Bjartur will have none of it, and hurls insults at Gunnvor’s memory, as he passes the cairn. After 18 years of working under the region’s Bailiff, farming for hire, he has saved enough money to buy the land called Winterhouses, and, dismissing the past, he decides to call it Summerhouses–as if merely renaming the place will turn around its long history of ill luck. By and by, this independent man decides he needs a wife and chooses Rosa, the youngest daughter of a neighboring farmer. She had been working for the Bailiff of Myri and his wife, who was a poet and graduate of an agricultural college. At Bjartur and Rosa’s wedding, the Bailiff’s wife romanticizes the simple joys of the peasants’ life “close to the land” in a long-winded speech, presumably in their honor. Laxness’ satire here is biting, because it is already apparent to the reader that life on these farms is often brutal and perilous, and not a country idyll. Rosa has been living with the well-to-do Bailiff’s family for a while, albeit as their servant, and so the change to Bjartur’s rustic croft-house depresses her. It is low and dark, with a mud floor and only a small window in one of its turf walls. On their way to see it, Bjartur flatly refused her tearful entreaties to let her stop and leave a stone on Gunnvor’s cairn to ward off evil luck; this rueful beginning to their married life leaves Rosa both angry and miserable. Homesickness, poor food (mostly dried catfish), and Bjartur’s dismissal of her wishes at every turn, begin to weaken her in body and spirit. When she complains and begs for a cow to provide some milk and cheese, he says no, but promises to make her a vegetable garden someday, but only after he has paid off some of his land’s debt. She wonders, what if she has a baby?–surely she can have meat and milk then? Nonsense, he says. “She stared at him with anguish-stricken eyes and everything personal seemed suddenly to have been wiped out of her face.” (p. 40) It’s certainly painful to read about her suffering, and ironic that he thinks obsessively about securing his independence while he makes his wife a slave. There’s a lot more to Bjartur’s story. His daughter, Ásta Sóllilja, will challenge Bjartur with her own implacable will. This will be the pivotal relationship in his life, and I will write more about them when I get to the end! Thanks again to Guiltless Reading for a great #ReadNobels challenge! Our March 2016 Readalong selection is An African in Greenland by Tété-Michel Kpomassie. I raved about this amazing travel memoir in November 2014 (see my review). Now I have the chance to share it with friends reading both fiction and nonfiction from many continents in the Travel the World in Books Reading Challenge. For more information about the Readalong and discussion opportunities, visit the main announcement at The Fictional 100. If you are interested, stop by one of our Twitter chats #TTWIB and/or visit our Travel the World in Books Reading Challenge group at Goodreads. “Babette’s Feast” is a short story by Isak Dinesen (Karen Blixen), the Danish author whose real life experiences managing a farm in British East Africa (colonial Kenya) led her to write Out of Africa (1937). Anyone who has read that book, or seen the 1985 film of it, knows that, at the end of her time in Africa, she returned to her native Denmark where she would live out her days crafting her famous memoir as well as an impressive host of short stories. “Babette’s Feast” first appeared in a magazine, the Ladies’ Homes Journal, in 1950, and it was again published in 1958 in a story collection called Anecdotes of Destiny. Notably, Dinesen wrote in English and then translated her own works into Danish (so you won’t see any translator credited). As a teller of tales, Dinesen did not restrict herself to any brief time interval. She could easily follow her characters across decades of their lives, to arrive at the moment that crystallized their destiny. “Babette’s Feast” is certainly such a tale, recounting the story of two sisters, Martine and Philippa, from girlhood to old age, and preparing these characters for one remarkable feast bestowed on them and their friends by their mysterious French housekeeper and cook, Babette Hersant. Martine and Philippa lived with their father, the Dean of a small lay community of Pietists (strict Lutherans following an austere lifestyle much like the Puritans). Devoted to their father and faithful to their way of life, the young women were also radiantly beautiful and each attracted a suitor even in their remote surroundings. Dinesen devoted a section to each girl’s early love story. “Martine’s Lover” tells how a young lieutenant, Lorens Loewenhielm, was sent by his commanding officer to this very village to visit his aunt; he wanted the wild young man to spend some time away from too much high living and settle himself down a bit. Lorens met Martine in church and, by and by, found himself frequently at the Dean’s table for dinner. Rather than pressing his suit to marry this girl who moved his heart, he became more and more intimidated, more and more uncertain of his resolve to reform, and left one day to resume his life in the army and the glittering court society. “Philippa’s Lover” was quite different; Achille Papin was a mature man and an artist–an acclaimed opera singer who came to the village to rest. Listening to Philippa sing in church, he discovered her extraordinary singing talent and somehow convinced the Dean to permit him to give her voice lessons. Achille had great plans for her to become a celebrated singer herself, and his wife, if she agreed. During one lesson, Achille at last expressed his love for her with a sincere kiss to finish their singing of the tender duet between Don Giovanni and Zerlina. In this case, it was Philippa who drew back from romance; she ended her lessons, asking her father to send her teacher a letter of apology. Achille returned to Paris and never saw his dearly loved Philippa again but many years later he did one remarkable thing for her and her sister: he sent them Babette. She was a refugee from the Paris Commune, and without giving many details of her political activities, he asked and urged them to take her in and let her be their housekeeper. Innocently, he closed his letter by saying simply, “Babette can cook.” The sisters had no idea at first what lay behind that simple truth. Martine and Philippa were reluctant initially, wary of what this unknown Frenchwoman might be like and what sort of food she might thrust upon their simple tastes. Their genuine Christian charity prevailed, however, and they offered her a place in their home. They needn’t have feared; the discreet Babette kept her counsel and cooked plain cod and soup for the elderly sisters in the style they preferred. Twelve years passed in this way, until one day, Babette surprised them. She announced that she had won 10,000 francs in the lottery! She proposed using this money to cook them a real French dinner, on the upcoming memorial occasion of the Dean’s 100th birthday. To do this, she would need to travel to Paris for a few weeks to order and obtain all she needed to prepare the celebratory feast. They wanted to refuse, I think–not wanting her to use her money this way, and fearing she might leave them for good. Yet once again, their deep sense of fairness and charity prevailed and they let Babette have her way. One more surprise was in store for them. The sisters learned that Lorens Loewenhielm, now a distinguished General, was once again visiting his aunt, who asked if he could accompany her to their celebration. Martine, beautifully composed, said yes without hesitation and prepared for this unexpected reunion with him. For his part, the General wished to make amends for his lack of self-assurance in his youth, and cut a more confident figure at the dinner. He had never truly made peace with himself and the direction he chose for his life. What the General expressed was felt by each person at the table in her or his own way. The film shows beautifully, with just a few touches and words, how rifts were healed, arguments settled, love restored, between pairs of diners united in the glow of grace and forgiveness. Indeed, it was Dinesen herself who served up this moment of their mutually felt epiphany. “Unpacking” the full meaning and implications of the General’s speech is the interpretive work that the author gives us. In some ways, Loewenhielm functions in the story as the “wise fool”–an accidentally oracular figure–because he is the only one who does not know the open secret of Babette’s Feast, the unspoken uniqueness of it all. No one disabuses him of the impression that this is the way the two elderly sisters and their small conventicle of believers dined frequently, if not every day! Gabriel Axel’s exquisitely beautiful, touching, and warmly ironic film makes the dynamics of the special feast apparent in a way that surpasses even the perfection of Dinesen’s story–one type of artistic perfection vying and dancing with the other. We see the pious elderly community, which had clung together all these years in the Dean’s name and adhered to his austere example, come together to celebrate his 100th birthday and make a promise, one and all, to remain silent throughout the meal–not to give in to the stimulation of their senses by any exclamations or comment, either of pleasure or displeasure at the unusual food they are about to receive. The General, therefore, who is a special guest from outside the group, becomes the only mouthpiece to convey the remarkable flavors, textures, and rare delights of food and drink presented at the table. The only other exceptions are the kitchen boy who is given small portions to enjoy after his serving work is done, and Babette herself–the luminous and self-possessed Stéphane Audran–who allows herself to close her eyes in appreciation of a sip of wine and then gently smile. The two-disc DVD version includes a booklet with Isak Dinesen’s complete story along with a very helpful essay by film scholar Mark Le Fanu. He remarks on the fidelity of the film to the story, noting that short stories more naturally expand to fill the time of a feature film in the telling, without much pruning being required. Still, in the filmmaking it becomes the director’s story to tell as he decides, and Axel chose to move the story which Dinesen set in Berlevaag, Norway to her own native Denmark, to a fishing village in the region of Jutland. In the soundtrack, Le Fanu informs us, we hear dialogue in both Danish and Swedish; because of linguistic history, these related languages are mutually intelligible, so we can depend on knowing that the simple Danish folk understood the gist of what the Swedish General Loewenhielm rose to say with such deep feeling. I will long remember the images from this jewel of a film, which deservedly won the Oscar for Best Foreign Language Film, the first Danish film to do so. I can see the rapturous faces of the twelve people gathered around the table, gifted with a meal that seemed to erase any division between material and spiritual blessings, self-denial and abundance, effort and grace. For that evening, “mercy and truth have met together, and righteousness and bliss have kissed,” and they all became one. This blog is my place for visiting the “Northern Lights” countries of Scandinavia, including Iceland, by way of my dream reading list. I have books beckoning in each of my categories of literature, history, biography, travel, and food (see my project reading lists for the whole shebang). But my primary focus for two new challenges will be biographies. 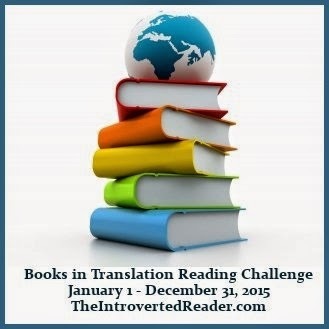 Happily, the biographies I have in mind fit perfectly with two challenges posted by The Introverted Reader: the 2015 Nonfiction Reading Challenge and the 2015 Books in Translation Reading Challenge. Not all these are translations, and it is debatable whether the Heimskringla, which is traditional history in saga form, is quite fact or fiction. But in general, these books will fall into one or the other of the challenges above, or both. 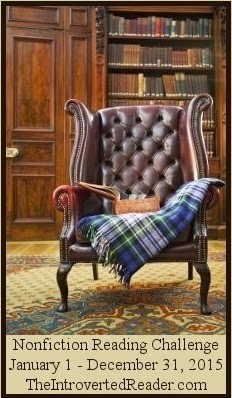 I will surely want to include some literature in my Books in Translation for the year too! 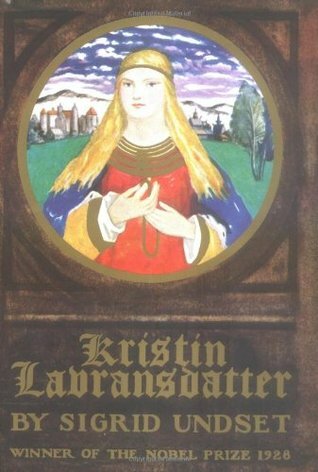 Foremost, I want to start my reread of Kristin Lavransdatter by Sigrid Undset (translated by Charles Archer and J. S. Scott). Finally, all these books are part of my ongoing participation in the Travel the World in Books Reading Challenge, hosted by Mom’s Small Victories, I’m Lost in Books, and Savvy Working Gal. “Scandinavian Christmas” by Trine Hahnemann–My first cookbook review! Scandinavian Christmas by Trine Hahnemann, with photography by Lars Ranek. Sterling, 2013. One of the chief joys I anticipated when I started this blog devoted to a region of the world was the chance to review cookbooks! I like to read and collect cookbooks, but I’ve never had a good opportunity to review one over at The Fictional 100. Now is my chance! It was an easy decision to select Trine Hahnemann’s Scandinavian Christmas for my first food review. Hahnmann is a very accomplished food author and teacher, as well as a former caterer to touring rock stars! Copenhagen is her home base, but her work reaches well beyond Denmark. I’m so glad that several of her books are available in English. Scandinavian Christmas is a beautiful book. From the crisp red, white, and silver of the cover to the gorgeous full-color photography inside to the clear, attractive design of the recipes, this book was a joy to page through and learn from. The pictures felt close-up and immediate and carried me right into the sunny, snowy world of a Scandinavian Christmas, with its bright decorations, savory roasts and tangy fish, earthy root vegetables, and abundant sweet baking. Let’s get right down to the indispensable baking! Breads such as Lucia bread and Pulla bread are made with white wheat flour for a softer, more refined texture at holiday time than the many hearty rye bread variations that are the daily staple. The most appealing cake for me was a Spiced Christmas Cake baked in a heart shape and decorated with piped hearts of white chocolate icing. The Honey Layer Cake with Orange Mousse also looked amazing and quite straightforward to make. And then there are the cookies, lots of cookies, in many shapes and flavors. Here is her picture of the Crisp Cinnamon Cookies with a link to her recipe for them. As intriguing as the baked goods are, some of the other dishes are what makes the Scandinavian Christmas menus seem distinctive: Roast Duck with Turnip Gratin, Caramel Potatoes, drinks with lingonberries and elderflowers, red cabbage cooked with spices and black currant cordial, and many varieties of winter salads (here are three). Meatballs, served with pickled beets or lingonberry jam, are such a necessary item at the Smörgåsbord that she offers them up in four languages: “frikadeller” (Danish), “köttbullar” (Swedish), “kjøttkaker” (Norwegian), and “lihapullat” (Finnish). Her meatball recipe combines pork and veal with sage, juniper berries, and rolled oats. I learned that there is a specific order for eating the offerings at the Christmas Smörgåsbord: first, the cured herring (often pickled); second, hot fish (flounder breaded in rye flour and fried like veal cutlets looked good); third, cold fish–all of these served with good rye bread. Then diners take a new plate and dig in to the hot meats (this must be the place for the meatballs! ), and then finish with cheese and various homemade candies. Celebrate one of the Advent Sundays outside. Play in the snow: Remember there is no such thing as bad weather, only the wrong clothes. Serve hot drinks, salmon sandwiches, and “nisse” (elf) cake, make a stew and bake bread over an open fire. Don’t forget to leave some rice porridge, topped with butter, sugar, and cinnamon, in the attic for the “nisse”–then, as she informs us, “he won’t eat your cookies or hide your favorite things; instead he will leave little presents in your boots.” I especially liked the recipe for this simple comfort food and, equally, the one for sweet Rice Pudding with Hot Cherry Sauce. I know I will want to make them, with or without elves in the house. I recommend this book highly for anyone who collects international cookbooks or holiday cookbooks. Most of the recipes didn’t seem too difficult, but simply called for that extra bit of care that one wishes to put into a food gift or a special recipe for holiday meals and entertaining. You can read more about Trine’s life and activities at her beautiful website, which features a very nice selection of her recipes. You can read more about Smörgåsbord and Julbord (the Swedish version of Christmas lunch) here.